Teachers at Lakeland Elementary/Middle School celebrated another year of impressive gains in math performance when Baltimore City published the Partnership for Assessment of Readiness for College and Career (PARCC) standardized test scores on August 28. UMBC’s Sherman STEM Teachers Scholars program was by their side to celebrate, as the team enters the sixth year of a comprehensive partnership that includes transformative professional development with math teachers. 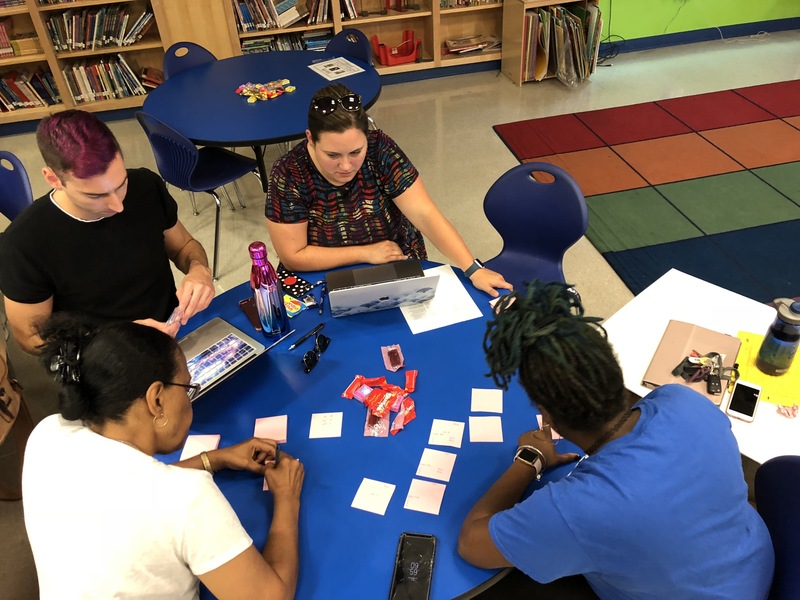 UMBC staff and students have been working alongside Lakeland teachers to build a model for success that can be replicated at other schools through the Zone Math Project. Teachers at Lakeland Elementary/Middle regularly meet to analyze and utilize data from PARCC, other summative school-based assessments, and curriculum and classroom-based assessments to improve student learning. Baltimore City Zone Math Schools professional development. Image provided by Josh Michael. In these professional development sessions, Lakeland teachers articulate a data story for each student. The profiles inform teachers as they develop individual plans for enrichment, extension, and support. These discussions also guide how to structure planning time and the development of lesson plans to meet individual needs. What is even more cause for celebration is that Lakeland is not alone in its success. In the past year, this model of support has expanded to Mary Rodman Elementary and Liberty Elementary, both in Baltimore City. The three Zone Math Schools have experienced an average annual growth of 7.5 percent in PARCC math scores. Over the past two years, Lakeland’s scores have improved by 11.7 percent. Over the past year, Liberty’s scores moved up 4.3 percent and Mary Rodman, which experienced the fastest growth in the region, saw scores increase by 14.6 percent. Student feedback is shared during during the Sherman Center for Early Learning in Urban Communities’s, Early Childhood Summer Institute professional development in the summer of 2018. The Zone Math Project will expand to James McHenry Elementary School, Federal Hill Preparatory School, and Maree G. Farring Elementary School over the 2018 – 2019 academic year. Creating individualized learning plans for students can pose challenges, but teachers in the Zone Math Project have found successful approaches. This progression in a math lesson allows students to have multiple opportunities to learn information, evaluate it, share it, and create with it, minus the fear of failure. Through the Zone Math Project, teachers also aim to increase the time that students are engaging in material. Students are placed in fluid groupings and receive ongoing feedback about their growth, allowing them to gain confidence and move between groups depending on the skill they are working to develop. At the core of this work are the goals of creating more pathways to success for teachers and students, and making sure they feel supported in their growth. 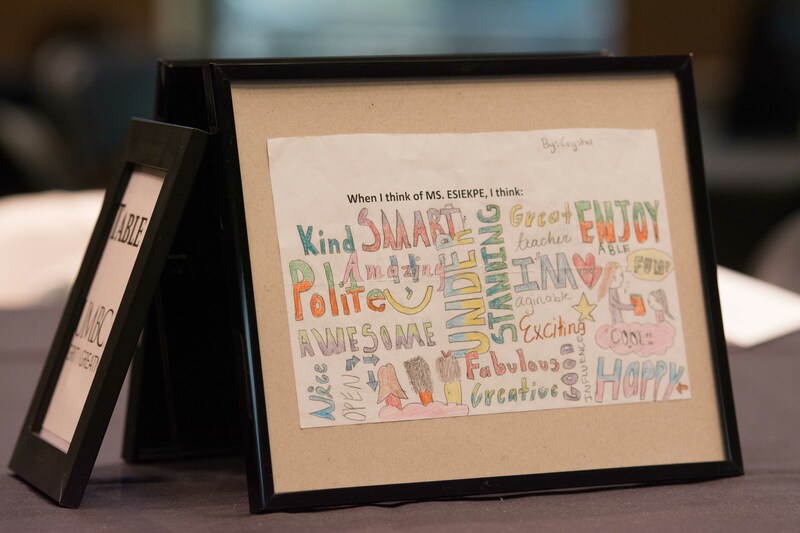 Teachers have noticed exciting results not just in test scores, but also in their classrooms. Featured image: UMBC Hour of Code. All photos by Marlayna Demond ’11 unless otherwise noted.